In modern society, mobile phones are becoming more and more indispensable. And it is various kinds of apps that make phones so attractive. Usually, people will download a large amount of applications for different purposes. If you intend to upgrade or root your Android mobile, it is safe to keep a copy of these Android apps data. Other than that, once you buy a new phone to replace the old one, to find and download all the apps again is truly troublesome. 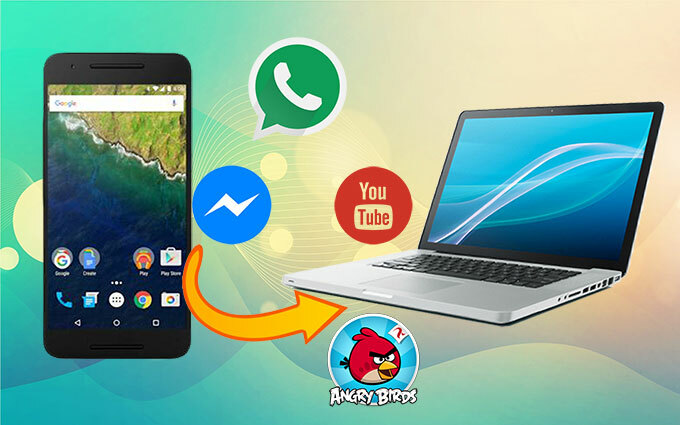 Under these circumstances, you can backup Android apps to PC so that you can use them later. Here, AirMore can save you a lot of efforts. 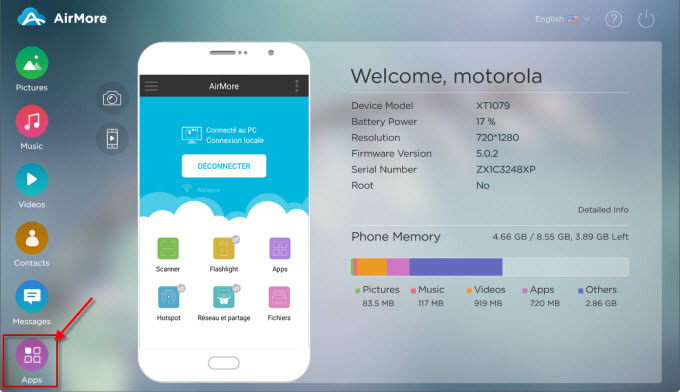 Open Google Play app and search for AirMore. You can also click the button below for direct download. Open Chrome, Firefox, IE or Safari browser. 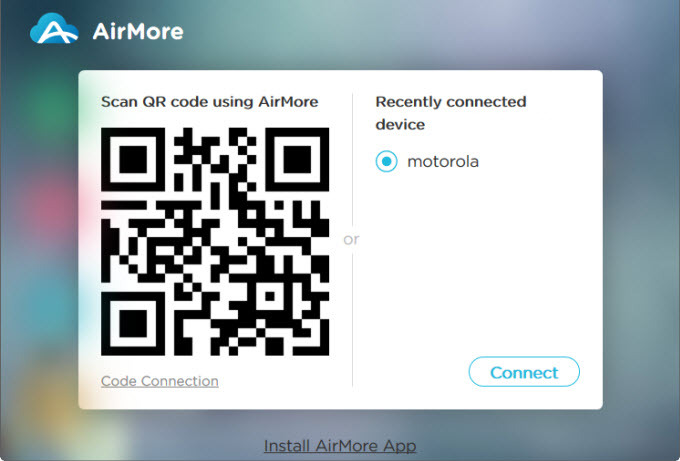 Visit AirMore official website and click “Launch AirMore Web to Connect” button. A webpage displaying a QR code will come out. Open the app on your Android and tap “SCAN TO CONNECT”. Then scan the QR code on web. Afterwards, tap “Accept” to connect. Note: If you have problem in scanning the QR code, you can use other methods to get connected, such as Code connection, IP connection or Hotspot connection. For detailed introduction, please refer to this guide. 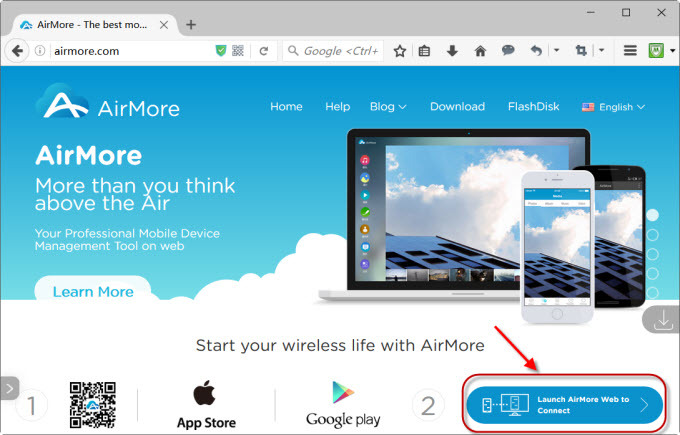 Once your Android is connected to AirMore Web successfully, click “Apps” icon. 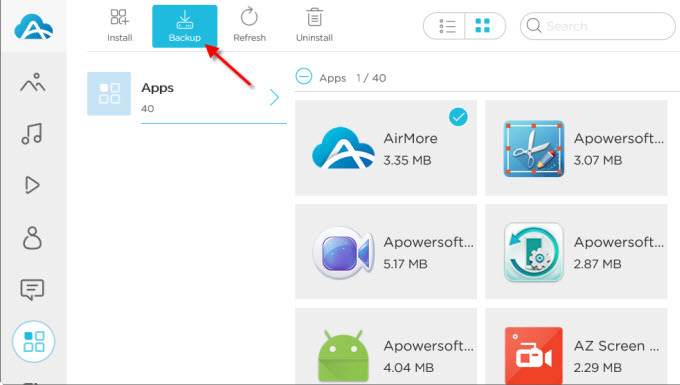 Select all the applications you’d like to save and click “Backup” button on top. Now, you are able to download Android apps to PC from web easily. If you decide to install the APK files back on Android, there is an “Install” button beside “Backup”. Click it and choose all the apps from computer to transfer them at one time. As you can see, the process is quite simple.